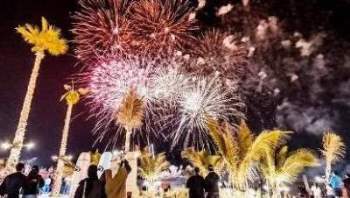 Al Seef, La Mer and The Beach will simultaneously mark the end of the 23rd edition of Dubai Shopping Festival (DSF) with a spectacular firework show on January 27, Tuesday. Throughout the month-long shopping festival, the destinations have been offering spellbinding experiences that included mega prizes, breathtaking fireworks displays every weekend, and a variety of family-friendly and entertainment activities such as, African drummers, carnival stilt walkers, LED butterflies, amongst others. On the culminating day of the festival, the three destinations will give a fitting farewell to a thrilling month of great deals and big wins with their biggest fireworks display of the Festival. The extended spectacle will take place as a momentous finale for the visitors. Organised by the Dubai Festivals and Retail Establishments (DFRE), an agency of the Department of Tourism and Commerce Marketing (DTCM), the 23rd Dubai Shopping Festival is an annual retail extravaganza that offers residents and visitors from around the world mega discounts and raffles draws for valuable prizes, accompanied by citywide activations and entertainment events.